When I first heard that Superdrug was bringing out a loyalty card, I was absolutely ecstatic. Why? C'mon, we all like to be rewarded for spending money and being "loyal" to a company. But, to be fair, I have quite a rocky relationship with the notion of loyalty cards. For example, I think that the PureHMV card is a complete waste of time. You gain loads of points per transaction, which, on the surface, makes it look like a really great scheme. Nevertheless, in the grand scheme of things (sorry, bad joke! ), whilst it looks like you have a lot of points, you need even more to get anything of any real value (gig tickets, magazine subscriptions etc). I'm also a little anti any apparent "loyalty" card that rewards you in things that you don't want, or need. I know that there are a lot of items on offer, through PureHMV, but unless you are interested in practically everything, it's hard to find something that really matches your tastes. But, my biggest grievance with PureHMV, is the idea that points "expire". Unless, you buy expensive products such as Playstation 3's or very regularly buy video games as soon as they come out (noting that a typical "new" game costs between £25 and £40, from HMV), very few people are ever going to get any real opportunity of bagging the really big "treats" through PureHMV. In fact, when I was told that "some" of my points were about to expire (apparently they expire after two years! ), I had accumulated just over 34,000 points, which sounds a lot, but really isn't. In order to spend a few, before they expired (I could hardly let them go to waste), I spent a very long time trawling through the crap of key rings and posters, that, let's face it, anyone older than 16, or anyone without a really strong "fandom" towards a film/band etc just wouldn't be interested. In the end, I think I've just resolved to collect points, on the very rare occasion that I'm in HMV these days, and when they're due to expire, maybe get something. HMV certainly isn't top of my list of places to shop though, as I tend to buy video games from Game or Gamestation. 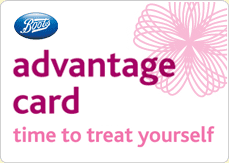 I love my Boots Advantage card, because I seem to gain the most out of it. For me, saving up the points is really handy, for those times when I suddenly run out of an essential, such as Sanitary Towels, Shampoo or Cotton Buds, and I don't have enough free money to buy them, at that time. So, I'll use my points to buy them. That might seem quite boring, but it's useful. Plus, living in a very small, rural town where the only "major" shops are Co-Op, Tesco and a teeny, tiny, minuscule Boots, often Boots is the only place that I can buy my essentials, so it is very nice to be rewarded for that. Although, I should just say that living two minutes away from a Boots, I often go without my purse, instead just opting to take the cash, and very often forget my Boots card...d'oh!! With the Advantage card, you collect 4 points for every £1 that you spend, and there are plenty of opportunities, throughout the year, to collect bonus or double points on everyday essentials, as well as the luxury items, which is another bonus for me. And, each points translates into 1p off anything you want to buy. And, that is where I feel that loyalty cards such as Boots, will always win out over schemes like PureHMV. Of course, it's nice to save up for something luxurious, but we as human beings, like choice. And not the kind of restrictive choice "offered" by HMV. Yes, sometimes, it is nice to save up for something of novelty or "once-in-a-lifetime", but in the real world, more times, I'll need the essentials, and an essential is not a Despicable Me keyring, no matter how cute it might look!! Plus, let us not forget, that Boots points do not expire!! And, with the Boots Advantage card you can take up the opportunity to register as an organ donor, which I personally think is really great. My only issue with the Boots Advantage card is that my card is starting to look a bit raggedy through popular usage, so I'd really like a new one :D Although, I have had it around ten years hehe! And finally, of course, we come to Superdrug's brand new BeautyCard. As I already stated, initially, I was excited about news of this loyalty card, but as details started to leak out about Superdrug only offering 1 point for every £1, well, compared to the Boots 4 per £1, I have to say that I was incredibly disappointed. For a company to not even appear to try and thwart the obvious competition seems "weak", almost as if they are afraid to challenge Boots. But, at least the Superdrug card offers me the opportunity to buy things I want and need, unlike PureHMV, which is an absolute definite plus side! One thing that I may have changed my mind on, was my original thought that the fact that the card is a mirror, seemed really gimmicky and pointless, but having only had my card since Tuesday, I have already used it, and as long as you don't bend the card, it isn't that bad a mirror as you might expect. Personally, I was expecting one of those cheap mirrors that you used to get in kids make up sets that were more fun house effect, than anything else! So, will the BeautyCard encourage me to shop in Superdrug more? No. 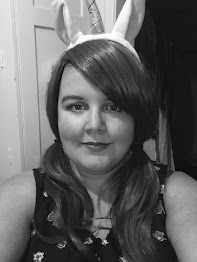 I opt to shop in Boots, primarily because they have more things that I want, but there are a lot of things, such as own brand Hair Dye, that I will always head to Superdug for. In a sense, I feel like Superdrug has leveled the playing ground when it comes to choosing between Boots and Superdrug, because they both offer some kind of loyalty scheme. So, whereas I might have deliberately headed to Boots, for something that both offer, purely because I'd be rewarded for it, now it'll probably be a case of, whichever one I get to first. It's nice, as well, to feel rewarded for buying the things that I can only get from Superdrug. Going back to their own brand hair dye, I often felt cheated that this would be the product that I always wanted to buy, but never felt obliged to, because I honestly wanted to reward points. So, now I feel more obliged to buy it from where I'd really want to, as I do genuinely prefer to use that brand of product. Have you all picked up your Superdrug BeautyCard? Do you think it's worth it, or do you think Superdrug could have done much more? And, which store brands (beauty-related or not) do you think offer the best and worst loyalty schemes? Hmm I was thinking about the super drug card thing, and then I realised that my brown Thomas (Irish department stores, High end makeup etc, comparable to Harvey nics in the uk) card has the same idea as superdrug, 1 point per euro spent.. However this works perfectly as it is all high end and you would more so rack up 100 points in there than super drug where everything is cheaper! So who knows, it's not all that bad! It's better than nothing..but in relation to their direct competitor (boots, lol! ), it's not great! I still need to pick up one of those Superdrug cards but with 1 point per £1 spent it does not compare to Boots! Boots I think is the best loyalty card out there at the moment and I think I'm needing a new one soon as mines very worn out hehe. I work in HMV and I can't tell you how bad I feel selling those cards to customers. We get threatened with disciplinary action if we don't sell enough, but I just can't really sit comfortable with the notion of trying to take £3 off of people for what is essentially free logistics for HMV. On that note....I'm still waiting for the Transformers Print that I spent some of my HMV points on! I ordered it at the beginning of May! !